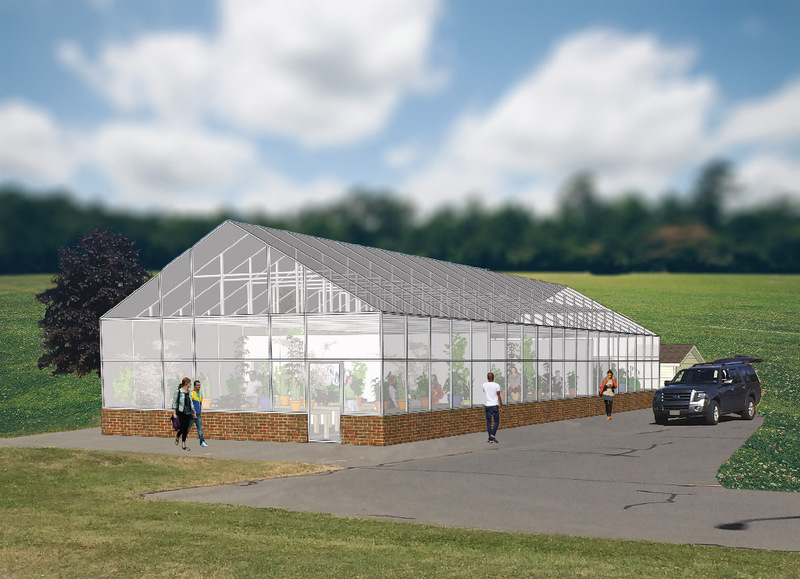 In March 2018, when UMPI announced the establishment of its new Agricultural Science and Agribusiness bachelor’s degree program, it also announced that it was launching a fundraising campaign for a facility vital to the new program: the Zillman Family Greenhouse. This state-of-the-art, 2,400-square-foot teaching and research greenhouse will include two research labs, a teaching classroom, and a faculty office. A four season greenhouse, it will include important technology–such as LED lighting, a precision watering and ventilation system, and advanced climate control system and sensor capacity–that helps support research in disease management, soil fertility, and economic opportunities for Maine growers and agricultural producers. Construction on the greenhouse is expected to be underway in Summer 2019. To donate to the greenhouse fundraising efforts, contact Dr. Debbie Roark, Executive Director of Advancement and External Affairs, at (207) 768-9755 or deborah.roark@maine.edu.